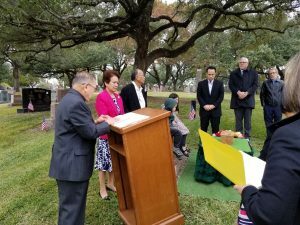 Outstanding Sillimanian Awardee and generous benefactor Dr. Rolando Villanueva del Carmen (October 16, 1930 – October 31, 2018), was laid to rest November 21, 2018, at the Texas State Cemetery, in Austin, Texas. Rev. Francisco D. Somera Jr., officiated the Committal Ceremony, while on behalf of Silliman University, Mrs. Hazel Taglucop Quisumbing, President of the Association of Central Texas Sillimanians (ACTS) read the University’s Certificate of Condolence. 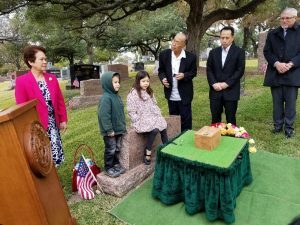 The burial ceremony was attended by the immediate family and close friends. 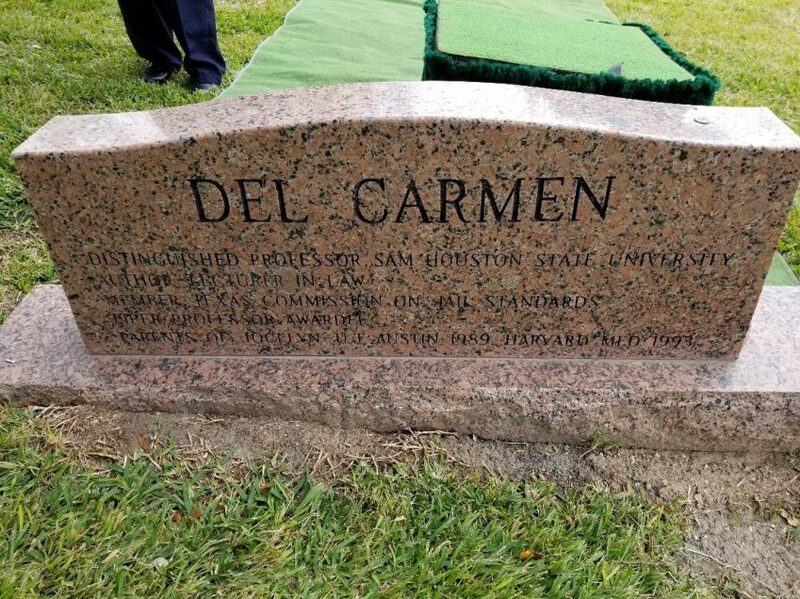 Dr. Rolando V. del Carmen was preceded in death by his wife of 45 years, Josefa “Josie.” He is survived by his second wife, Erlyn; daughter Jocelyn (Chris) Tanabe, and grandchildren Josie and Linus of Palo Alto, California; and stepson Joey Diao and family of Celebration, Florida. He is also survived by siblings Divina Himaya, Cirilo del Carmen, Jr., Grace Nishidera, Ben del Carmen, and Gloria Dechawan. The Silliman University administration, faculty, staff, students, alumni, and friends present this gift honoring the family of our beloved brother, Dr. Rolando Villanueva del Carmen, with the assurance that the one we love so dearly is never gone; he lives within our hearts. His exemplification of the Silliman spirit of excellence and service is what we are celebrating today, and this gift of honor is presented with our hands raised in thanksgiving and praise to our God Almighty for his life story that is now written in our Sillimanian hearts. Given on this 19th day of November, 2018 in Dumaguete City, Philippines. 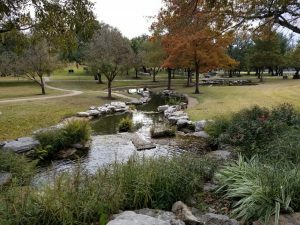 Texas State Cemetery, Austin, Texas. 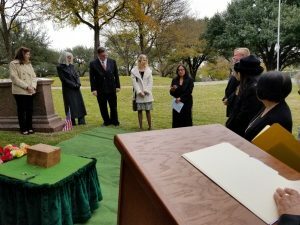 Committal ceremony officiated by Rev. Francisco D. Somera. 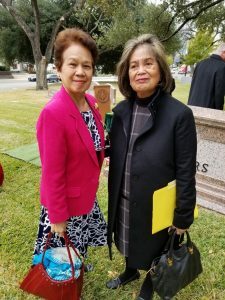 (L-R) Mrs. Erlyn del Carmen and Mrs. Hazel Taglucop-Quisumbing. (L-R) Mrs. Erlyn del Carmen, Rev. 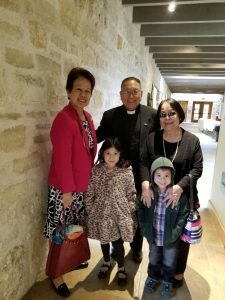 Francisco D. Somera Jr. and Mrs. Nelly A. Somera with the del Carmen grandchildren Josie and Linus. 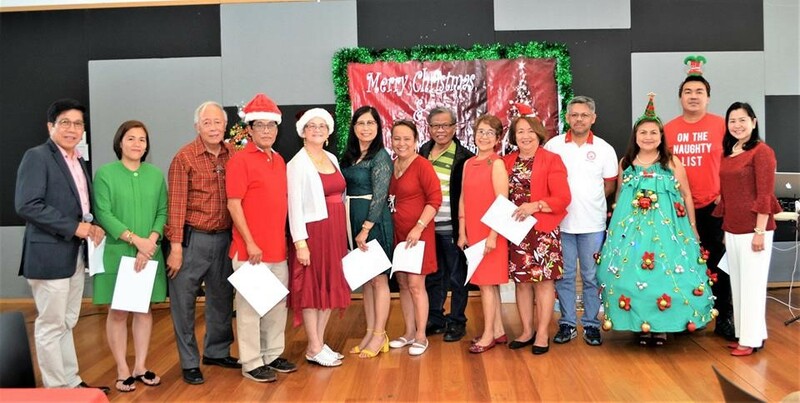 The Silliman University Alumni Association Sydney Australia Chapter, Inc. (SUAASACI) held an early Christmas get together last November 17, 2018, at The Mount Druitt Hub, New South Wales. Alumni coming from Melbourne, New South Wales, Canberra and New Zealand also joined the alumni Christmas party. The new officers of SUAASACI was inducted by Solicitor Jesus Icao. The new chapter officers are: Enrico Garcia Jr. – President, Emma Pontenila – Vice President External, Ephraim Delfin – Vice President Internal, Alicia Dumlao – Secretary, Arnie Capilitan – Treasurer, Faith Montecillo – Auditor, Romeo Capilitan – PRO External, Rodrigo Gante – PRO Internal, Evelyn Villegas – Chair Membership and Sunshine Committee and Man Fraser – Social Media Manager. The chapter advisers are: Marissa Bala, Evelyn Icao, Lucy Jumawan-Sauer, Max Pontenila and Vivian Tee. The alumni chapter of Sydney was formed in August 1989 and is celebrating its 28th year.